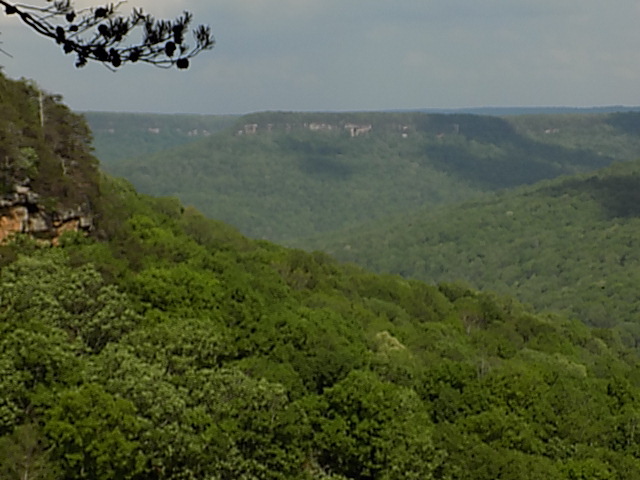 The Cumberland Mountain Plateau runs north and south from eastern Kentucky into north-eastern Alabama. It is a beautiful stretch of land with forests, rivers, falls, and valleys. At the north end in Tennessee is Big South Fork Natural Wild River. 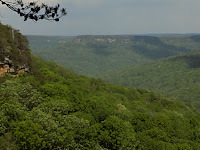 At the south end is a series of parks and gulfs that make up the southern Cumberland Plateau: rock-climbing country, rivers and falls, long vistas. Tennessee is a lucky state. I-40 cuts across the plateau at one end from Knoxville to Nashville. Or you can take I-24 from Chattanooga towards Nashville and enjoy some really scenic views with some equally interesting turns and twists on the road. Between the two interstates is a vast part of Tennessee populated with small towns and farms and pastoral countryside. 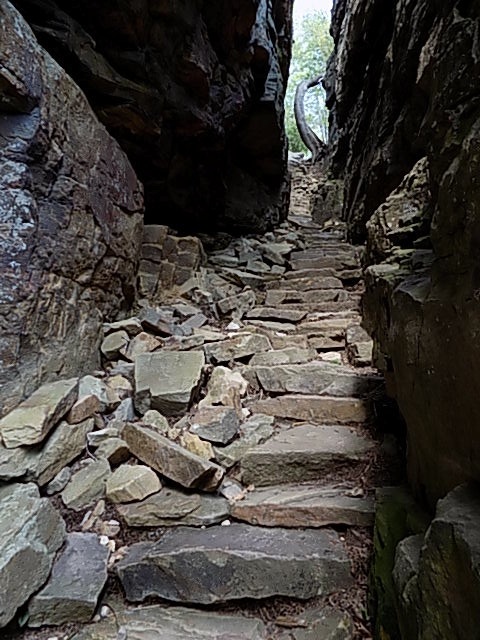 Among many interesting places is the “Stone Door,” part of the Savage Gulf Wilderness Area. For a reference, find Beersheba, Tenn., on your atlas and you are at the roadway to the Stone Door and the north end of Savage Gulf. The Stone Door is a very short stair case through a crack in the rock ledge that allows access to Collins Creek below. From atop the Stone Door is a view worth the drive. The plateau goes forever. It is mottled in green and rock. It looks like a fierce place to have to cross and I can never imagine what it must have been like when the natives and settlers tried to explore such and endless up and down. A word of caution, the treads and risers are rock and sharp and uneven. There are no hand rails or cables. It looks benign and for many younger people Stone Door is not at all a challange. From the bottom of the Stone Door you just keep descending and the old man in me kept reminding himself that he had to walk all the way back up, too! “Gulf” is loosely used term in those parts for the wide open expanses viewed from the rims. If you could raise the water level in the valleys much of the topography would disappear. Plateaus are, of course, a product of time and water. A person could get to like this part of the state.